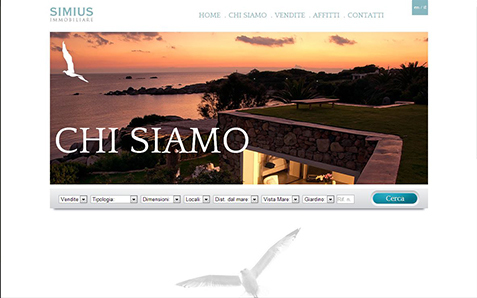 Immobiliare Simius is an institution of the real estate market in the region of Villasimius, (one of the most beautiful in Sardinia), as confirmed by its presence here since 1968. 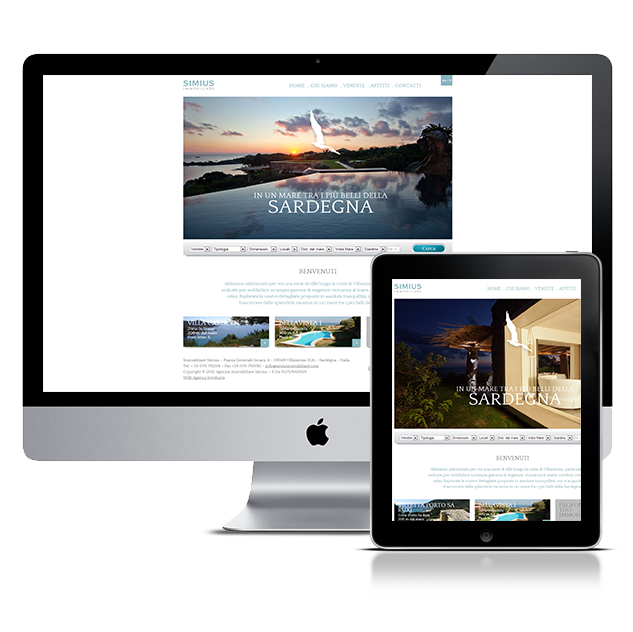 The agency always presents itself as a reference point for the real estate business in one of the most popular resorts on the island. The Agency consists of a team of expert consultants in holiday real estate brokerage (sales and renting), whose added value lies in the profound knowledge of the area which consequently generates unique investment opportunities. 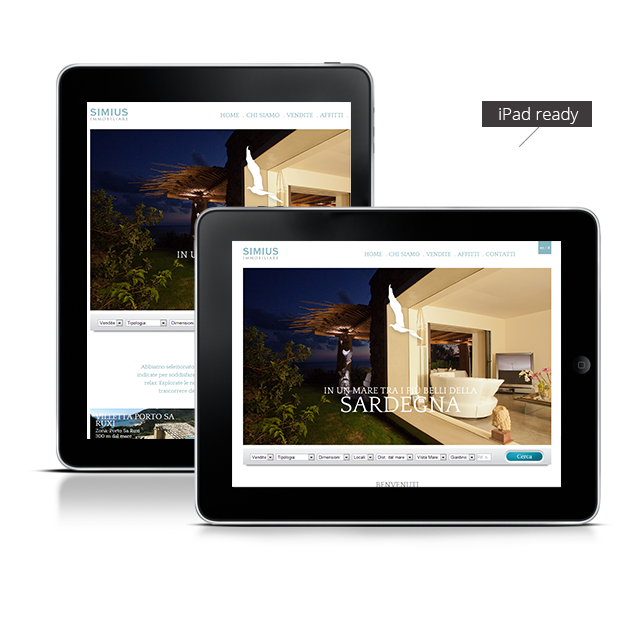 The demand for prestigious buildings in and around Villasimius has exploded in recent years. Celebrities and wealthy entrepreneurs (Italians and foreigners) are discovering this beautiful area of ​​the island. This is why there is a need for a special, dedicated service: from the research phase, to purchase and eventually the rehabilitation of the villas; or supplying services for those who are interested in renting for a short summer stay. The goal of becoming the market leader, by incrementing the supply and targeting an increasingly high spending audience is consequential to tackling the increasingly assiduous presence of the big franchises that are populating the area. 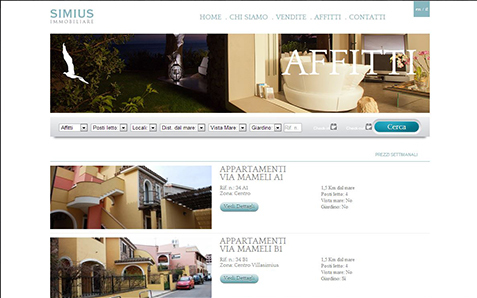 Our proposal was to develop a restyling of the website by focusing the communication on the beauty, the elegance, and the spaciousness of the proposed villas, communicating in a sober, clear and effective style and enhancing the photographic content, constantly in the spotlight. Since the transition to a higher position is quite a long process, the To Rent section was enhanced, creating an automatic booking system, thus allowing the consultants to spend more time on activities with high added value, such as renovation projects and sales. 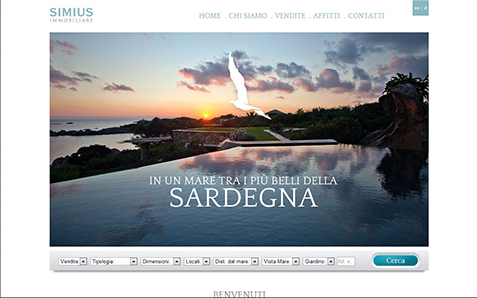 Local SEO activities, coupled with other positioning actions over the entire region of Sardinia have made it possible to put Immobiliare Simius to the top of the SERP for searches inherent to the reference market.